(April 3, 2019 – Toronto, ON) There are 20 films in Hot Docs’ Canadian Spectrum this year, but there are other films screening in other programs and the opening film is also Canadian. In fact, we found 62 Canadian titles spread throughout the festival’s annual Screening Schedule magazine, a vital resource for festival-goers. Today we’ll look at some of them. The honour of holding the Opening Night position this year goes to a disturbing film by award-winning Indigenous filmmaker Tasha Hubbard. Her first solo writing/directing project, Two Worlds Colliding, premiered at imagineNATIVE in 2004 and won the Canada Award at the Gemini Awards in 2005. 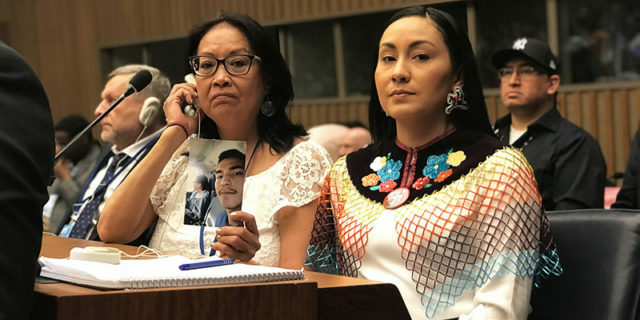 Her new feature documentary, nîpawistamâsowin: We Will Stand Up (pictured above), is a personal exploration into the death of Colten Boushie. On August 9, 2016, the 22-year-old Boushie, a resident of the Cree Red Pheasant First Nation, died from a gunshot to the back of his head after he and his friends entered the rural property of Gerald Stanley, located near Biggar, Saskatchewan. The jury’s subsequent acquittal of Stanley captured international attention and raised questions about racism embedded within Canada’s legal system. There is a two-pronged approach here through much of this almost 100-minute documentary. In part it follows the legal procedure that resulted in the verdict it did, which propelled the young man’s family to take their case to the United Nations. The trial and subsequent events are fairly straight forward, but the second and stronger element in this film is the racism that surfaced, or resurfaced, following Boushie’s death. If you thought that just because this is Canada and we are perceived as being “nice, polite people,” there are parts of this film that act like a blunt instrument awakening you to realities you may have thought or hoped didn’t exist. Hubbard seemed to have unfettered access to the family and friends of Colten Boushie, which makes the film highly personal, so much so that she uses some of the screen time to examine her own family. 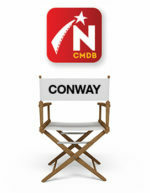 nîpawistamâsowin: We Will Stand Up, an NFB co-production, screens 3 times during the festival. In addition to its World Premiere on Opening Night at the Hot Docs Ted Rogers Cinema, it will also play on Saturday, April 27 at the TIFF Bell Lightbox and on Saturday May 4 at the Isabel Bader Theatre. Not in the Canadian Spectrum, the film Gordon Lightfoot: If You Could Read My Mind should be on your schedule. It’s part of the Special Presentations section of the festival and it only screens twice. The 90-minute documentary follows his career from rural Ontario to Greenwich Village to stardom and stadium performances. Following the film’s World Premiere on Saturday, April 27, the second screening a few days later is part of the Big Ideas program. These are live events attached to certain films. 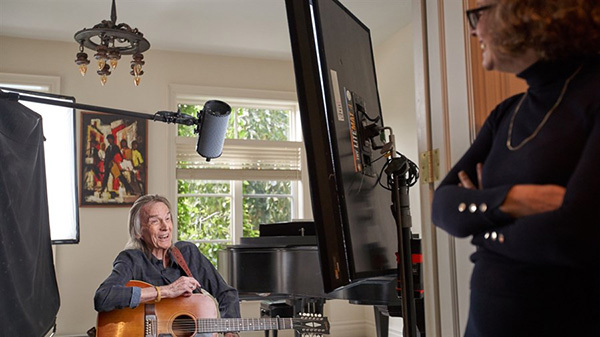 Lightfoot will be joined on stage by co-directors Joan Tosoni and Martha Kehoe to talk about his life and career. This screening and live discussion takes place at the Hot Docs Ted Rogers Cinema on Tuesday April 30 at 6:30PM. Persister is a new program at Hot Docs. Described as “Women Speaking Up and Being Heard,” this section also offers a Panel Discussion on Saturday May 4 at the TIFF Bell Lightbox, which is free to attend. Only one Canadian film is in the program and it is titled Because We Are Girls. Directed by Baljit Sangra, the film follows Indo-Canadian sisters who finally bring an abuser to court. It screens on May 1 and 2 at the Scotiabank Theatre and again on May 3 at the TIFF Bell Lightbox. We’ve already covered Pipe Dreams. It’s not in the Canadian Spectrum but screens as part of the Artscapes program. It screens on April 28 at the Scotiabank, April 30 at TIFF Bell Lightbox and May 3 at the Isabel Bader Theatre on the University of Toronto Campus. There are 10 Canadian productions in the DOCX program, 8 of them fall within the Virtual Reality and Interactive part of DOCX. Three of the VR shorts are based on the award-winning feature documentary Anthropocene. The Virtual Reality and Interactive part of DOCX is free at the Autodesk Technology Centre at 661 University Avenue. There are a couple of films and a live performance as part of this program as well. Another Canadian film in the Special Presentations program is Gaza. If documentaries are supposed to make you think, and provoke discussion, this is one of those films. Shot entirely from the perspective of a few citizens of this small strip of territory, these are people who wish for a normal life, a productive life, a safe life, yet are seemingly trapped between the ambitions of Hamas, which has run the territory since 2007, and the Israeli military who must retaliate to protect its people. There are some two million people who live in an area 41 kilometres long and somewhere between 6 and 12 kilometres wide. It is one of the most densely populated places on earth, yet it is cut off from the rest of world, its people unable to travel, unable to escape. 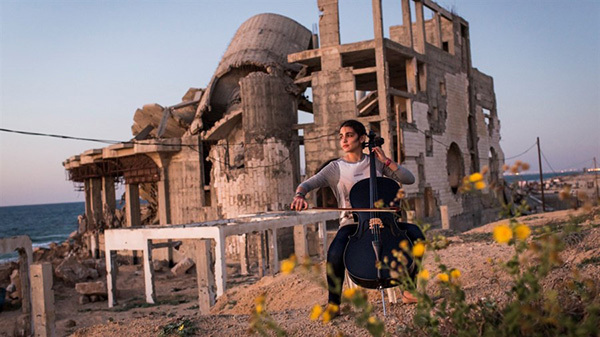 Gaza, directed by Garry Keane and Andrew McConnell, screens three times including April 30 at the TIFF BellLightbox, May 1 at the Isabel Bader Theatre and finally on May 3 at the Hot Docs Ted Rogers Cinema. We will look at the films in the Canadian Spectrum a little closer to the opening day, but you can check them out online here. The Hot Docs Canadian International Film Festival runs from April 25 to May 5.